In the prevailing context of climate change and declining food security in Lesotho, the need to raise children, parents and communities’ awareness on Climate Smart Agriculture technocologies including Conservation Agriculture (CA) and improved Home Gardening and Nutrition is essential. One of Lesotho’s strategies to boost its agricultural growth is to encourage youth participation in agriculture along with promoting CA. CA entails minimum soil disturbance, soil cover at all times and intercropping or crop rotation. This protects the soil and increases its fertility. Following the training of over 700 principals and teachers on CA and Home Gardening and Nutrition by the Food and Agriculture Organisation (FAO), the Ministry of Agriculture and Food Security (MAFS) and the National Curriculum Development Centre (NCDC) in April 2015, children from 300 primary and secondary schools across the country were invited to participate in an Art Competition on Conservation Agriculture. 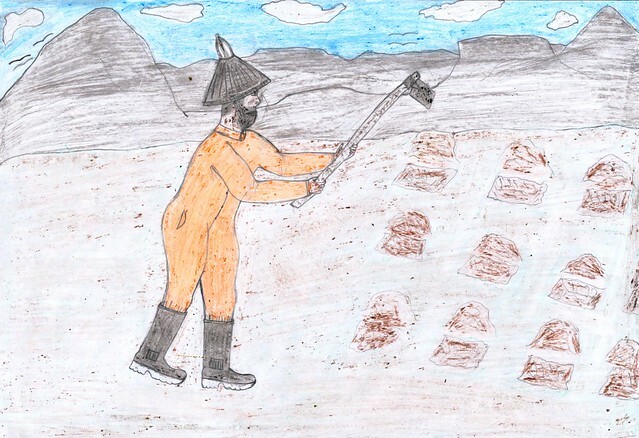 In this initiative, school children had to make drawings to illustrate one of the three following topics: Climate Change in Lesotho and its impact on food security, Conservation Agriculture principles and Conservation Agriculture benefits. A selection committee, integrated by representatives of the NCDC, MAFS and FAO, has identified the finalist that made the best drawings. The top 12 drawings will be used for the production of a 2016 calendar that will be distributed nationwide. The launch of the calendar and the award ceremony is foreseen towards the end of November, before the start of the Paris 2015, the UN Climate Change Conference. ”Education and sensitisation are the building blocks of lasting change of our agricultural practices, so that our children can have the benefits of sustainable impact”, said Mr. Klompenhouwer, FAO Representative to Lesotho “We must invest in the education of our children”. This activity is supported by the European Commission Humanitarian Aid and Civil Protection department (ECHO), the Common Market for Eastern and Southern Africa (COMESA) and the Office of U.S. Foreign Disaster Assistance (OFDA).